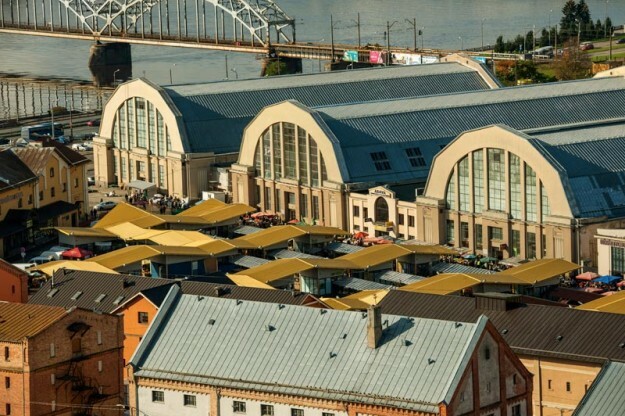 When Riga Central Market was first opened in 1930 it was the largest and most progressive marketplace in Europe. 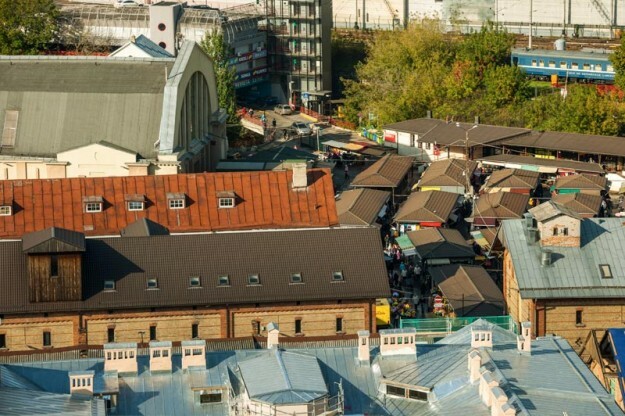 Through different times “Riga Central Market” has kept its place in the heart of Riga, providing variety, personal service, vivid conversations and heartfelt stories, light hearted haggling and bright colours. 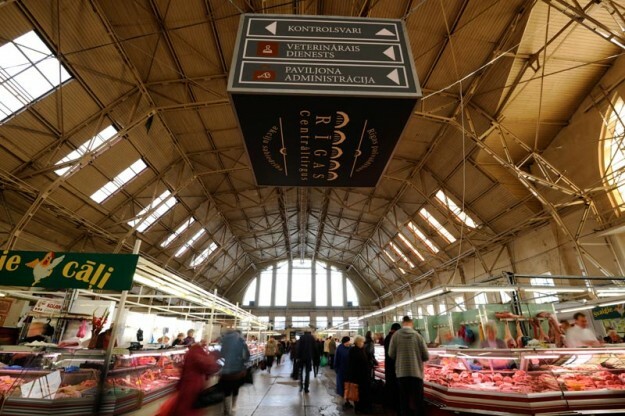 Since 1995, the Central Market has been a joint stock company with 100% of its shares owned by Riga City Council. It occupies 72.3 thousand square metres of space and has over 3000 trade stands, each 1 to 100 square metres in size. 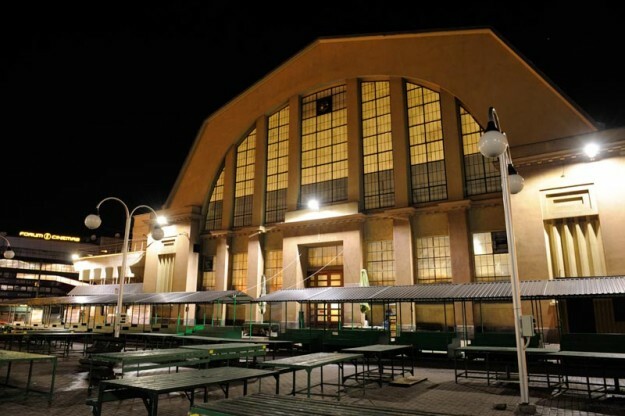 The market has five pavilions in the historical buildings – they were originally used as Zeppelin hangars. 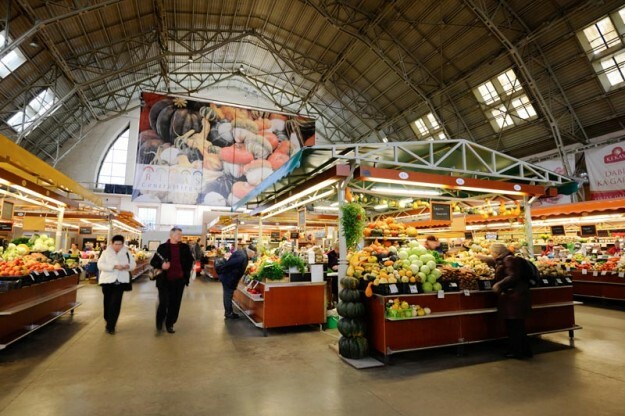 Every day the Central Market – vegetables, dairy produce, meat, fish and grocery pavilions, open areas, manufactured goods market, night market and Farmer’s day-and-night market. The market is visited by 80 to 100 thousand people a day. 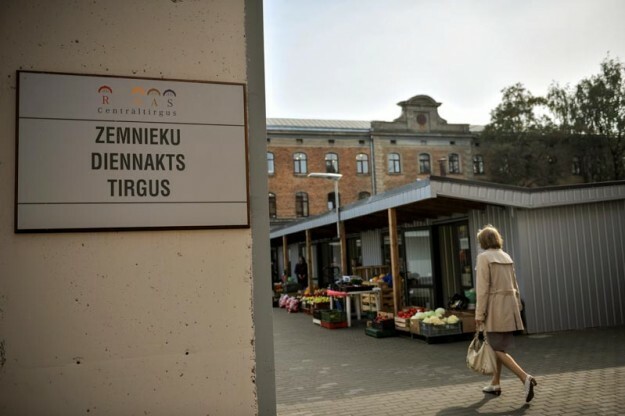 Joint stock company “Riga Central Market” manages the city council-owned real estate in the territory of Riga – Central Market, Vidzemes Market and Agenskalna Market. Company’s efforts are oriented to market’s work management and perdurance of the market’s unique cultural environment. The operating income is made of the rental of trade areas and premises. Property management and organisation – reconstruction and revitalisation of the market’s territories through the EU co-investment programme. 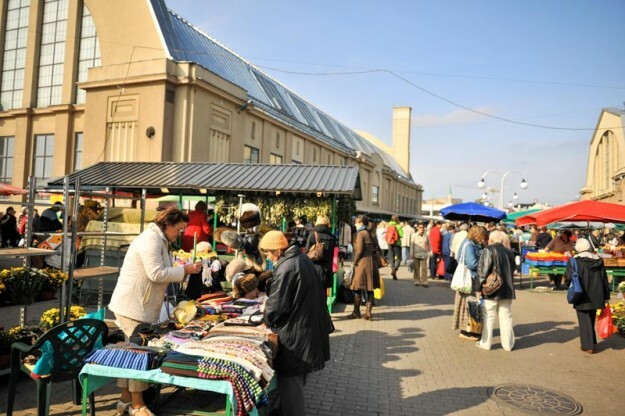 Tourism development in the Central Market – increasing of international visibility and attraction of tourists to visit the market. Increasing of customer satisfaction – a comfortable and sound market environment for both direct customers – tenants and consumers. 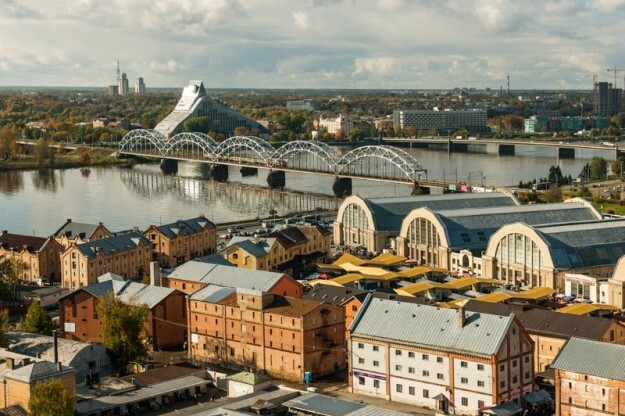 The public image of “Riga Central Market” – image and PR. Safe environment – a safe environment in the market territory in the context of the criminal situation, quality and sanitation standards. Impact on the environment – reduce environmental pollution and wasted resources. Financial performance – improvement of operating efficiency. Irrespective of age, the market has always been a symbol of well-being and delight. 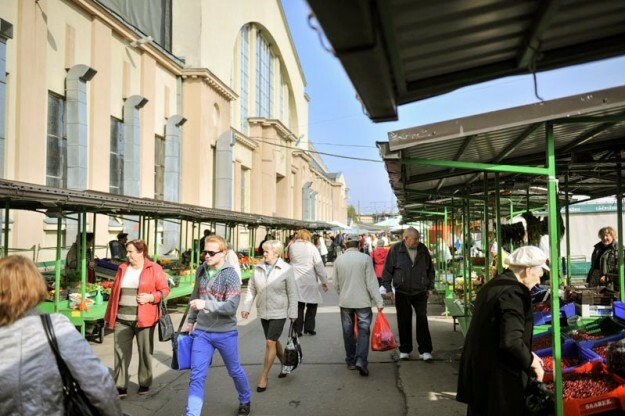 In autumn Riga Central Market is full of a bright harvest of fruits and vegetables given by the Latvian countryside. In addition we are used to finding a way to preserve the delicious bounty of nature during the severe winters. 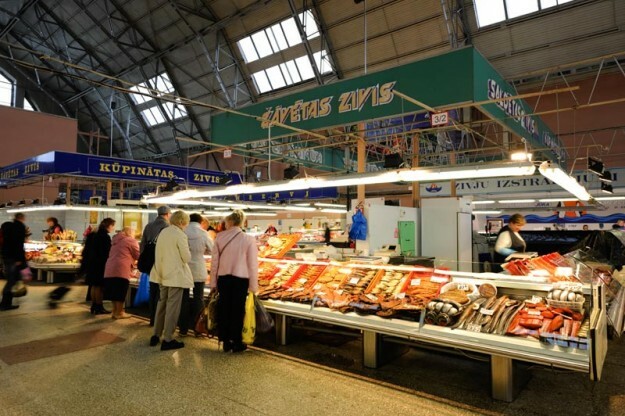 All year round there is no shortage of milk and meat, you will find the largest fish assortment as well as bakery products, exotic fruits, spices, honey, nuts and even more. A lot of people can find other housekeeping things, flowers, plants and warm hearted handicrafts here. Riga Central Market is great entertainment as well. It will attract with its laughter and diversity. Prejudices disappear as we see the market becoming prettier, more honest, accountable and modern year by year. It brings people together, because they know that it is the best place to find healthy and quality food. Once upon a time the market was characterised by the words “fresher and cheaper”. But now – “more real”! And, of course, fresher and cheaper! 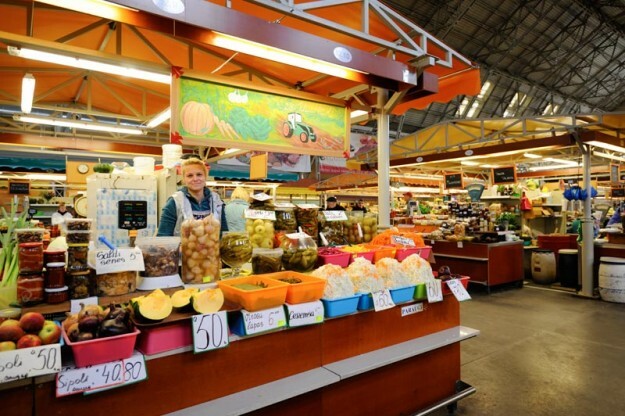 “Riga Central Market” is the most colourful place in the city! You’re welcome… You’ll love it!